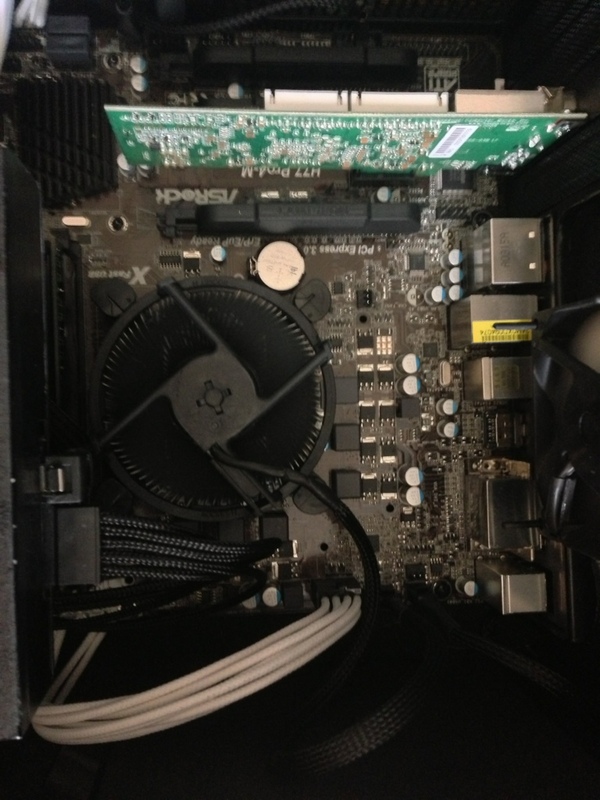 Today I installed two Nexus Real Silent fans in my HTPC case. The nexus fans are great, they look nice, the white blades complement the all black case, and they even come with rubber screws/ for the fan in the rear I just slipped the rubber screws through the grill, case and then fan. The rubber screws have stops that keep any part of the fan from ever touching the case, hopefully reducing noise by eliminating vibration passing. 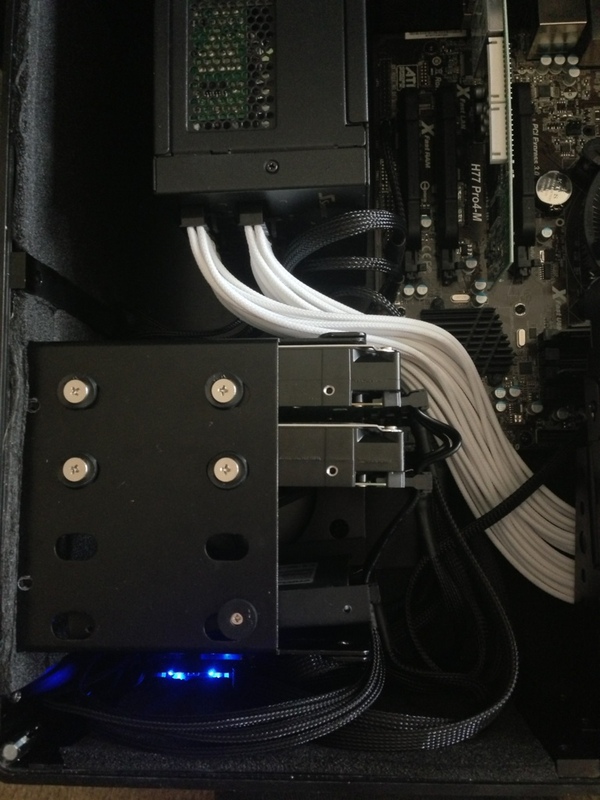 For the fan under the HDD bay I had to improvise. The fan mount in the Wesena e7 case is not a typical mount, and does not allow for the use of rubber screws. I purchased 6 1/8″ ID rubber grommets to slide over the post and isolate the fan. I’m planning a project box to use inside of my HTPC build. I want to avoid having any USB dongles off the back, so I will be using an internal USB hub inside an aluminum box. On one side of the box I will have passthrough connectors for the power and usb connection for the hub. On another side I will have 3 RP-SMA connections and one 8pin DIN connection. These connections will be used to connect 3 WIFI antennas, 2 LEDS and one Vandal Resistant switch with LED illuminated ring. I am planning on installing the above antennas/leds/switch on a blank PCI plate. I may install a piece of mesh aluminum on the top panel of the project box to allow for ventilation. I only have paint at work, so here is a basic sketchup of my plan. And yes, I understand this is completely unnecessary, but I am building this HTPC with form over function in mind. I currently use a wifi antenna with my RF keyboard, and it improves the reception immensely. Hopefully the same holds true for the xbox receiver and the bluetooth dongle. Also I just ordered the internal IR receiver from Perfect Home Theater, looking forward to its arrival.